Meet "Mighty Mom" Catarina Lopez! Affectionately known as "Nan Cat", Catarina lives in Xonca, Guatemala. She is the proud mother of six children - two girls and four boys (talk about having your hands full!). Nan Cat is a hard-working woman who cares for her family and tirelessly serves her community. She rises early every morning to make sure her children get a healthy breakfast before skipping off to school. But in 2010, Nan Cat experienced a devastating tragedy - the unexpected loss of her husband to a commonly contracted illness. She was stunned. At age 43, Nan Cat found herself a widow with six hungry children to feed. It has been difficult for me since my husband Domingo Chávez passed away. I have had to fight for my children's future. But Nan Cat showed great strength in the face of this adversity. With the encouragement, visits, and prayers of Food for the Hungry (FH) staff, she found herself on her feet again and refocused her attention on serving her community. 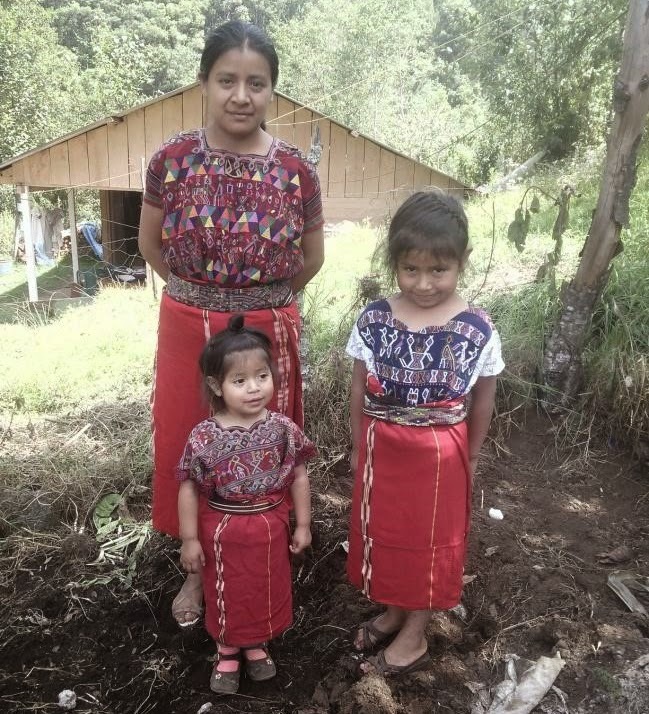 She decided to volunteer with a Cascade Group - a small group of women who learn health education lessons and visit other mothers to give family health and nutrition advice and encouragement. This is what Nan Cat loves to do - help others. She also cared for her children by starting her own family garden - something introduced by FH to help end the chronic malnutrition of young children in Guatemala. With the produce Nan Cat gets from her garden, she can feed her children and still sell enough in the market to generate a sufficient income to clothe and support her children. I like to grow gardens and I am very thankful. Now that I have to be both mother and father for my children, the gardens help me learn to plant and give my children food and clothes. Catarina’s desire to help her community and see her children have a good future is so admirable! Her example is motivating other families to take steps forward. Even though she is a widow with six children, she doesn't let that hold her back. Nan Cat actively participates in other community groups, including a Savings and Loans Group that helps start sustainable projects in Xonca. The savings and self-management group has been a good experience for me. I have learned to save, which will help my children to continue studying. I thank God and FH because the ideas they have brought have allowed us to develop as people. Without a doubt, this Mighty Mom is setting an example not just for her own community, but for all of us! She is determined, selfless, loving, smart, and forward thinking. What can we say? She's a mom! If you want to stand in solidarity with other moms like Nan Cat, visit our Mighty Moms page! Food for the Hungry: Celebrating A Mighty Mom!